Former House Speaker Newt Gingrich has said that former FBI Director James Comey "may be under investigation." He made the comment on ABC News' "This Week" Sunday where he explained, "If you have an obstruction case, Comey has got to be one of the major witnesses." Gingrich also stated that "special counsel [Robert Mueller] happens to be a close friend of Comey, which is weird, because, under Justice Department rules, Mueller can't investigate Comey." The former FBI Director has been a frequent target of Gingrich who is currently out promoting his new book, "Understanding Trump." On "Fox News Sunday" last week, the former House Speaker blasted Comey's behavior, saying, "I think that Comey himself, by his own testimony, tainted this particular process. You have a director of the FBI deliberately leaking in order to create a special counsel, who we're now supposed to believe is going to be this neutral figure. I think that's just nonsense." 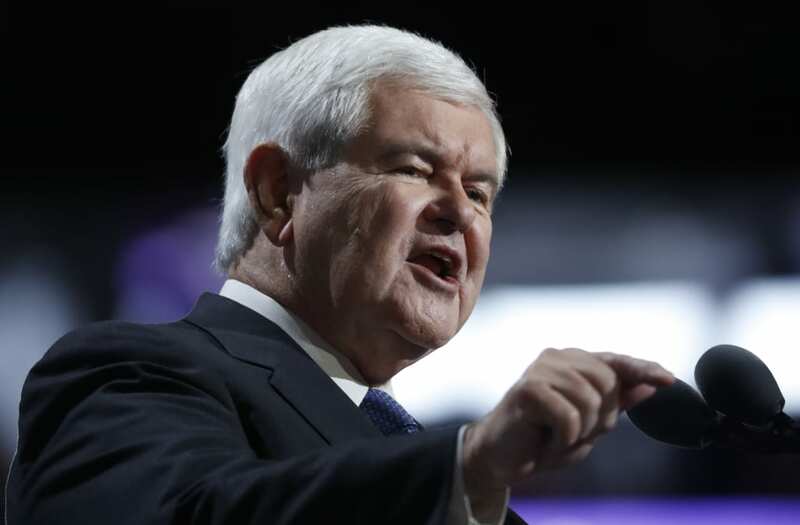 And days later, during an interview on Sean Hannity's radio show, Gingrich accused Comey of being part of the "deep state," an alleged government network trying to undermine the Trump administration. Gingrich said, "Comey's part of the deep state, Comey's part of the sickness. Nobody should be confused about this."